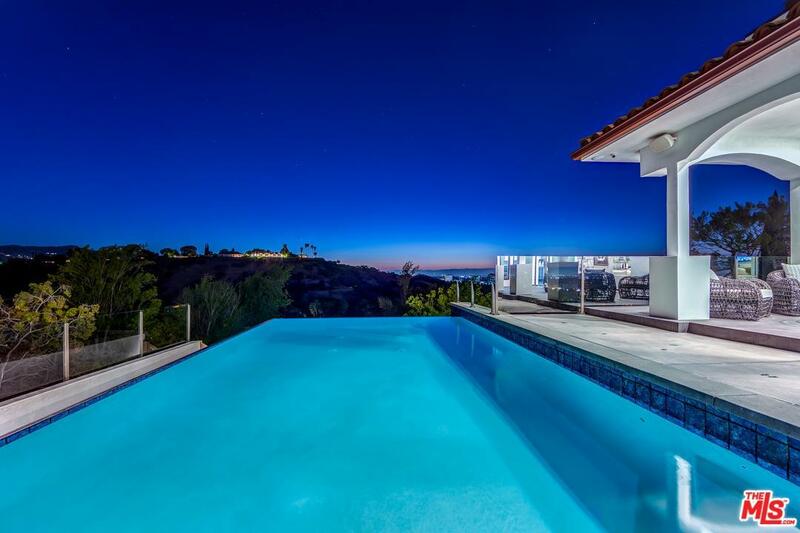 Brand New Modern Mediterranean Villa full of exciting design details overlooking the most breathtaking panoramic views of the city & mountains, offering timeless allure. Perched on a promontory, this secluded private gated estate opens to a dramatic entry way anchored by a three story sculptural staircase. The first floor encompasses the elegant formal living room,~dining room, family room, office, relaxing terraces and inviting state-of-the-art kitchen.~Abundant windows and french doors throughout admit natural light to encourage an interplay with the outdoors. An infinity pool placed alongside the living area is linked to an outdoor lounge area which ensure a seamless transition between spaces. Each of the en-suite bedrooms on the top floor surround a playroom/study hub and offer lush bathrooms,~walk-in closets and striking views. Addt'l highlights incl. guest/maid's en-suite bedroom,~wine/tasting room, wellness room, bar, theater, elevator & extensive open-air entertainment. Sold by Althea Bowman BRE#01912761 of B & B Investments. 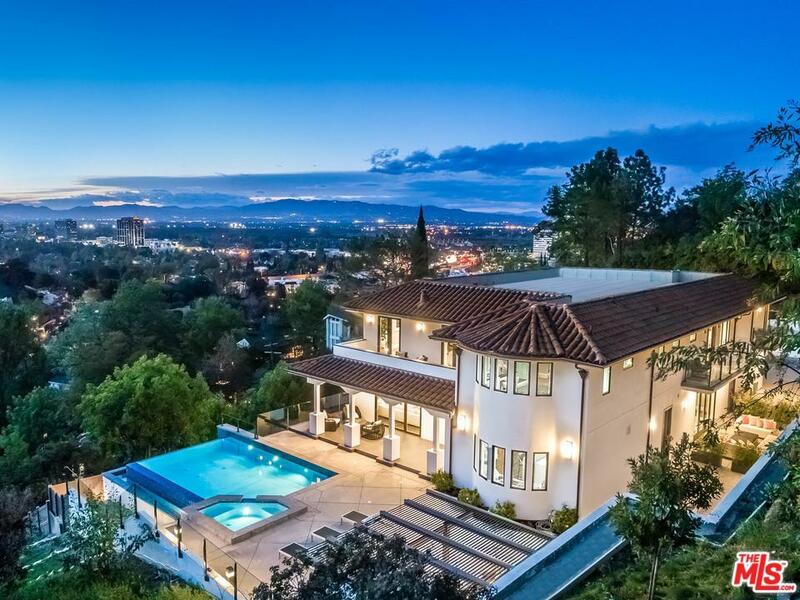 Listing provided courtesy of Tatiana Derovanessian DRE#01912761 of Keller Williams Beverly Hills.